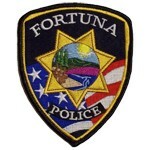 A wrongful death suit filed by the parents of a Fortuna man was reinstated by a federal appeals court panel Tuesday in an opinion that calls into question the credibility of statements by police officers involved in the 2012 fatal shooting. Jacob Newmaker was fatally shot on March 16, 2012, by Fortuna Police Department Officer Maxwell Soeth, who was later joined by Sgt. Charles Ellebrecht in responding to reports of a man screaming in the front yard of a Fortuna home. Describing a federal district court judge’s decision to throw out the case in December 2013 without going to a jury trial as “inappropriate,” the opinion states the officers’ version of events contradicts evidence in the case. According to the officers’ accounts, which varied slightly from each other, Soeth shot Newmaker once after he grabbed the officer's baton and swung it at Ellebrecht, and shot him a second time after Newmaker had fallen down but was trying to get back up. Officers stated they had attempted to subdue Newmaker with a series of non-lethal methods, including baton strikes and a Taser, before he was killed. A district attorney's office investigation into the shooting found there was no criminal conduct by the two officers and both returned to duty.